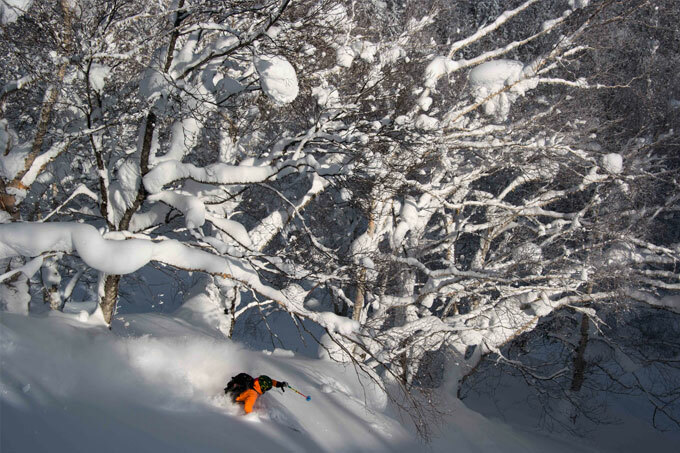 A couple of weeks ago six French backcountry skiers went missing in Furano. They split up around midday on Thursday, Feb 8. One of them skied down the piste while the others exited the resort to explore the trees. Had they all gone into the backcountry, their story might have ended in tragedy. 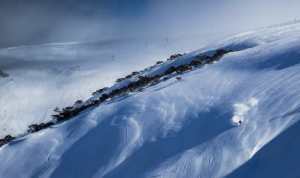 At 2pm on that day, the lone piste skier called 110, the Japanese number for police and other emergency services. The police contacted Furano ski patrol who launched a search. My family was home, warm, and unaware, but one of our Japanese backcountry guides saw reports on the NHK evening news and alerted us. A few minutes later, NHK rang our shop number to see what we knew. We only had questions for them. It was -7C and the temperature was forecast to dip to -9C overnight. This was life-threateningly cold, but people have survived worse and we hoped they were together so they could huddle. What we really hoped was that six oblivious French people were soaking in either of the Hotel Furano or Highland Furano onsens, having taken the well-trodden wrong ridges and gullies accessible from Backcountry Gate C.
They had not. Visibility was poor so we think the group went over the back of the resort to the wilderness to the west. On that side there were no roads, no homes, no farms and no hope of hearing a rescue helicopter due to the falling snow. I had welcomed the snow after a dry week in Furano, but on that Thursday night I wished it would stop. I slept badly but awoke to welcome news on jiji.com. The group had been located at 10.15pm that night by Furano ski patrol and all were well. Details emerged. There were children in the group. 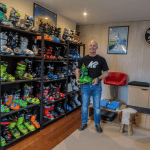 All this hit me hard because my kids now ski out of the gates. 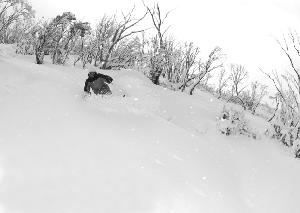 At our shop we advise eager backcountry skiers every day. 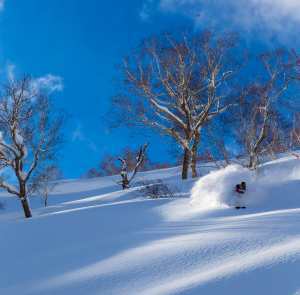 We tell them how to exit the gates, which gates are best for beginners, and which ones lead to the five-kilometre walk of shame back from Highland Furano. We send people off with topographic maps and avalanche equipment and the sense of security these items impart. 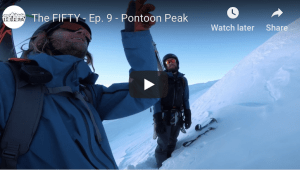 We remind them to make their own assessments of the snowpack, the weather, and the terrain. As I watch them go, I often wish we ran a sign-in and -out system, but that is better managed by the resort. 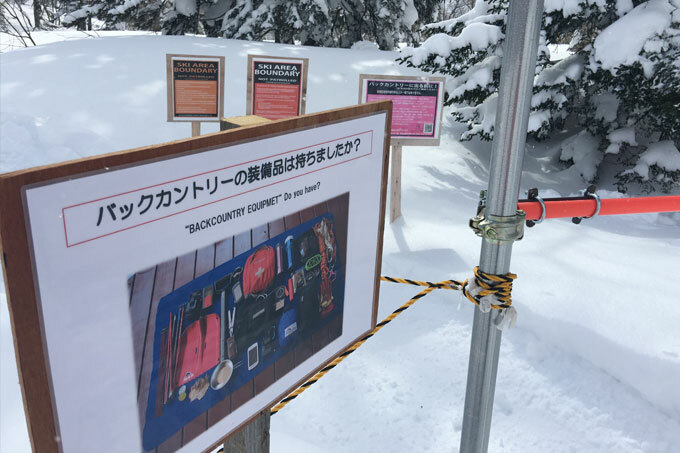 Furano and other Japanese resorts have a sign-out system for the backcountry, but my guess is only five per cent of people using the gates sign out. 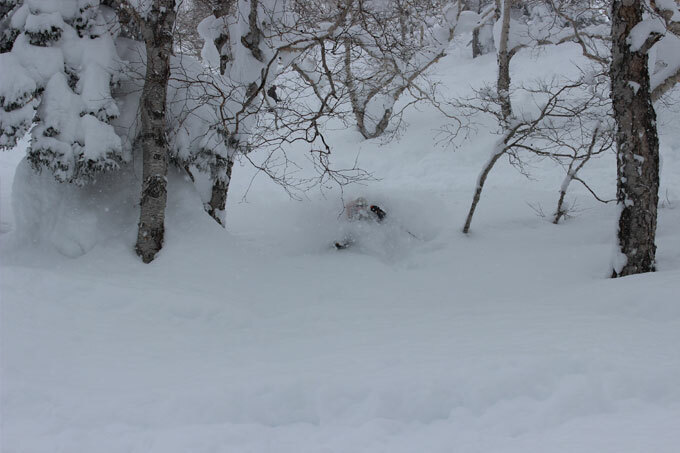 If you are tempted by the backcountry in Furano, please sign out. Do this as a courtesy to our Japanese hosts and because the form has important topographical information. Also, listing your emergency equipment and your blood type has a sobering impact on your enthusiasm. As with our rental equipment, please don’t let signing out make you feel invincible or protected. I have never heard of alarms being raised if people did not sign back in–somebody must raise the alarm to trigger a rescue. If that happens and the helicopters go up looking for you, I hope they find you. It’s also worth remembering you should expect the pilot’s bill. To the rescued French visitors, I wish you many safe returns Furano. I am most grateful to the member of your party who stayed on piste.